October brings cooler nights but many days the sun is shining and views of the Olympic and Cascade Mountains are in full view for all to enjoy. 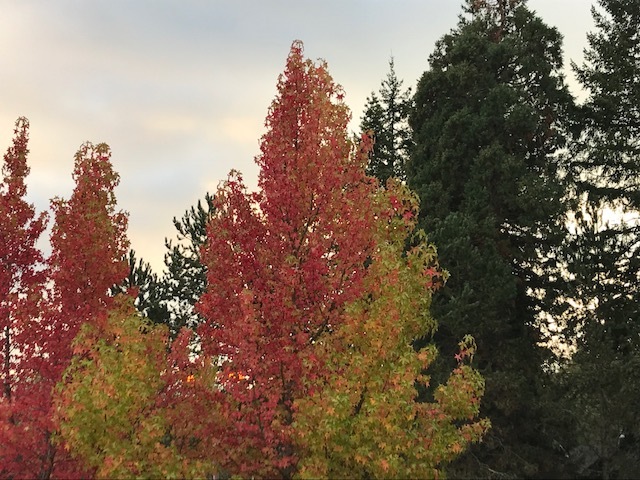 The trees begin to show their colors as summer turns to fall and onto winter. An occasional rain that Seattle is well known for shouldn’t scare you away but here at The Guest House we have umbrellas for guests to use. The rumor is Seattleites don’t use umbrellas but I have been known to take one along while out running errands and visiting my favorite tea shop.